There are several types of psychic abilities. 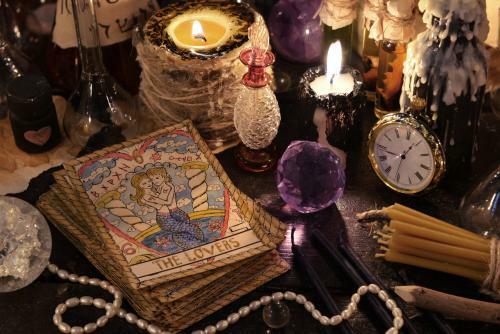 Many psychics suggest everyone has some type of latent psychic gifts and developing and controlling these abilities is a matter of focus and effort. If you or someone you know would like to learn how to work with psychic intuition, it is possible to develop psychic channeling skills over time. Once developed, you can learn how to control your intuitive gifts. Can You Learn to Channel Psychic Information? Different people have varying types of psychic abilities as well as different levels of competence at receiving and interpreting psychic information. These abilities may manifest differently for individuals, but you can learn how to channel psychic information. For example, some people may receive information from things they "see" (clairvoyance) or "hear" (clairaudience), while others might experience the feelings of others (empathy). All of these, along with others, are manifestations of psychic ability you can develop. According to Psychology Today, all humans have an ingrained system of intuition, also known as gut instinct, that can help provide valuable information occurring outside of the realm of rational thought. An example of this is sensing danger, an ability that all animals (including humans) have. Likewise, Dr. Dean Radin has performed research into intuition and shown that it does exist, although the mechanism is poorly understood. Many psychics feel developing psychic abilities arises from learning to work with these intuitive hunches. In the hustle and bustle of everyday life, many people have started ignoring their intuition either because they are so busy they don't notice when intuition arises or because they believe there is no rational explanation behind intuitive hits, so they aren't worth listening to. Ignoring intuition, however, can serve as a way to block psychic ability. Many people have these types of things happen throughout the day, and they don't notice it because they are busy, or they've just learned to ignore such information. The information can arise at any time during the day or night. It might arise when you are awake, or it might come as a dream. The information may be very literal (for example, you may think about your sister just as your telephone rings with your sister on the other end), or it may be symbolic (you hear the sound of a gavel banging just before you open the mailbox to find a summons for jury duty). Another key is to quiet the noise in your mind and teach yourself to listen to your intuition. Intuitive thought flashes are there for a reason, and tuning in is an important step in developing any latent psychic abilities you may have. Meditation is an excellent way to learn to quiet your mind and tune in to your intuition. You can perform any type of meditation that works for you, or you can engage in activities that quiet your mind, such as going for walks, doing yoga, engaging in a creative pursuit, journalling, or any other activity that removes the busy thoughts from your mind. As you engage in these activities, pay attention to any thoughts that arise. Make note of them and then release them. Afterward, write any significant information you feel you have received in a journal. For some people, it is difficult to differentiate between their normal thoughts and psychic information. The following tips can help you to start to make this distinction. If a thought persists even after you've tried to let it go several times, it might be psychic information. Information that seems nonsensical may be symbolic in nature, and may have roots in psychic abilities. This is especially true in both sleeping and waking dreams. Pay attention to how your normal thoughts occur and look for thoughts that vary from that pattern. For instance, if you typically think in words and suddenly notice thoughts that arise as pictures or sound, you may be receiving psychic information. If you have thoughts or emotions that have little to do with your actual physical experience, it may be psychic information. For example, if you're at a party having a great time, and you are suddenly overcome by a wave of sadness, you may be receiving empathic psychic information. Likewise, physical sensations that are out of character for your current physical situation may indicate you are receiving psychic information. For example, if you are suddenly overcome with dizziness when you are perfectly healthy, if you notice the scent of cigars when there are no smokers nearby, or you feel a sensation such as the shaking of the earth under your feet and there's no earthquake at the moment, you may be receiving psychic information. Notice any information that comes with accompanying physical sensations. For example, if you suddenly know something that you didn't know previously, and it is accompanied by a feeling in your gut, the hair raising on your arms, or a chill down your spine, you may be receiving significant psychic information. With all the pieces in place, you can begin to work on developing your abilities. In general, the more you work with your abilities by paying attention to them and performing the suggested exercises, the stronger and more consistent they will be. Work with Zener cards. These cards have been developed specifically for working with and testing psychic abilities. To work with the cards, close your eyes and ask yourself what symbol the card contains. Note your answer and turn over the card. You can also do this with regular playing cards. Start by trying to visualize red or black, then, when you become proficient at that, try visualizing the suit. Finally, try visualizing the exact card. Remember that the information may not be visual. You may just know, or you may hear an answer. Work with the information in ways that make sense to you. Try using psychometry. Have a friend hand you an object or closed box with items in it. As you hold it, see and share what information you receive. You can also try this with gifts. Hold wrapped gifts and guess their contents. Just don't do it in the presence of the gift giver, or they may be upset you ruined the surprise. Play in the Institute of Noetic Sciences (IONS) Psi Arcade. This is a fun and interactive way to work with your abilities. Ask someone to hide an object. Then, close your eyes and visualize the object. Zoom out from the object in your mind to see the surrounding items. Continue zooming out until you know where the object is located. This is also a great way to locate lost items, such as keys. Keep a journal. Note impressions that you receive throughout the day and write down any dreams you have at night. Pay attention to how these dreams and impressions dovetail with things happening in the real world. You may benefit from a good dream analysis tool to help you understand the symbolic nature of some psychic communications. Be patient with yourself. You've had years of not paying attention to psychic information, so it may take some time before you become proficient. Understand that everyone has different levels and types of abilities, so it's not constructive to compare yourself to others. Know that no psychic, not even the most accomplished and well-known psychic, is ever 100 percent accurate. Therefore, you are going to get some things wrong. That's perfectly okay. Set aside your ego and your critical brain. While it's understandable that you will be invested in receiving and communicating information that is "right," if you become too invested in being right as a psychic, you start to lose touch with true intuitive information and start to put it through your own filters and desires. Allow information to come to you in the moment without filtering it or attempting to interpret it. Instead, receive and communicate the information exactly as you receive it, and then attempt to interpret it after you have received it fully. Meditate daily to help you tune into psychic information. Work with your abilities as frequently as you can. Try working with something to focus you, such as a crystal ball or a tarot or oracle deck. Some people don't have to work to develop their abilities. Instead, it seems as if they suddenly start receiving psychic information out of the blue when they've never had abilities before. This is known as a psychic awakening, and it can be a very powerful and disconcerting experience. Other people's abilities may come on more gradually with little effort, while still others may have to work to develop their abilities. No matter how your psychic abilities begin to work, it is important to learn to control them. Controlling your psychic abilities allows you to engage them when you need them. Having control also allows you to protect yourself and maintain your energy when you are going about your activities of daily life. Gaining control over your abilities gives you the power to receive communication when you are ready for it, instead of having it come willy nilly throughout the day and night. While these exercises aren't 100 percent effective - sometimes psychic information comes through no matter what because it's just that important - they are quite helpful in keeping yourself grounded and in control. Before any session in which you use your psychic abilities, or attempt to work with or develop them, you need to ground and center yourself. This helps keep you attached to your physical form and can help temper information so it doesn't overpower you. You can also use grounding and centering after meditation, or whenever you are feeling low-energy or just a bit "off" psychically. Sit comfortably with your feet firmly on the floor and your eyes closed. Breathe deeply, pulling breaths in through your nose and out through your mouth. Make sure the breaths pull all the way into your stomach. Place your hands on your stomach, just over your navel. Visualize roots growing from your feet deeply into the ground. See the roots spread under the ground and extend all the way to the center of the earth. Once the roots are deep in the center of the earth, visualize wrapping the roots around something there. Now, visualize pink energy moving up the roots and into your body, moving all the way up through your feet, the base of your spine, and into your abdomen just below your hands. Feel the energy growing beneath your hands. Now, move your hands and the energy along the centerline of your body to your heart. When you reach your heart, imagine white light coming down from above and entering your body through the top of your head (your crown chakra). Bring the light down your midline and into your chest to mingle with the pink light. Focus your energy on the pink light until you feel centered. Your psychic bubble serves as a shield to protect you from negative or overwhelming energy. This is a great exercise to do when you are feeling overwhelmed by psychic energy, or when you just don't want to work with psychic energy for the moment. When you start, you need to put up your bubble quite frequently - every 10 to 15 minutes or so - but as you become more proficient, your bubble will last for hours. Close your eyes and sit or stand comfortably and breathe deeply, in through the nose and out through the mouth. You can do this in place whenever you feel like you need a shield. Focus all your energy on your sternum between your breasts (the heart chakra). With your focus on that spot, push out a shield from your heart chakra. Your shield can be anything that makes you feel safe. For example, people use a plastic bubble, a brick wall, armor, and many other materials. Push the shield from your center until it surrounds you completely. Be sure to push it from your center instead of building it around you so that you push away any energy near you instead of trapping it in the shield with you. Every once in a while, reset your shield. When your shield is in place, it will block all energy. If you'd like some types of energy to get through, then you can use a filter. There's nothing complicated to a filter. Rather, a filter is just an intention that you set. For example, if you'd like to block out everything, except you'd like energy from an object to get through so you can "read" the object, then you set the intention to block out everything except psychic communication with the energy of that object. Close your eyes and breathe deeply, in through your nose and out through your mouth. Set your shield as outlined above. Now, affirm that you will continue to block all energy except energy from (insert whatever it is that you'd like to be able to read). Volume switches work well for just about everyone; however, they are especially powerful for people with empathic abilities. Using volume switches is quite simple, and it allows you to control psychic "noise." Picture two or more volume switches (either knobs or slider switches). Label one switch "me." Label the other, "everyone else." Alternatively, you can label others depending on the psychic energy you'd like to control. For example, if you are trying to read energy from someone, label one with your name, one with theirs, and one with "everyone else." In your mind's eye, adjust your volume switch to maximum. Adjust the "everyone else" volume switch to zero or to any level you'd like to set it. 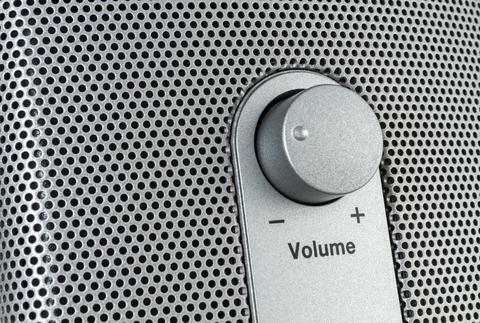 Adjust other volume switches to the level you want. Start with just two switches until you become proficient at that before you work on more. At first, you may need to redo this every 30 minutes or so. As you become more proficient, it can hold in place for several hours. It's important that, as you develop your abilities, you use them ethically. Never attempt to read someone without their permission. Sometimes it happens unbidden, but in general you should try to avoid reading another's energy unless he or she knows you are doing so. Always use your abilities in a manner that supports the highest good of everyone involved. While many popular television programs show psychics going up to people in grocery stores and providing a reading unprovoked, it's best you only read people who are seeking it. In some cases, you may receive very strong information, and it's important that you approach someone with unsolicited information with caution and compassion. Always err on the side of compassion, asking yourself, "Is it in this person's highest good that I share this information with them?" Listen to your intuition for the answer. Never insist that you are 100 percent right. If you provide readings, always let them know that psychics are often wrong, and that it is up to them to interpret the information you provide. Always share the exact information you receive, no matter how strange it may seem. Don't attempt to interpret. For example, I (the author) was once doing a psychic-medium reading for someone and communicating with her deceased brother. The word "pornstache" kept popping into my mind, but I thought it would be insulting to use those words, so I said things like, "I think he has a bushy mustache." My client kept shaking her head no. The word kept coming up until I heard very loudly in my head, "Darn it! Say 'pornstache.'" When I did, my client burst out laughing. Apparently her brother used to tell her if his facial hair was as thick as the hair on her head, he'd have a pornstache. Avoid including your own beliefs and values into any reading you provide. Provide information exactly as you receive it without interpretation. Maintain confidentiality if you do receive information about another person. Don't gossip about it with friends. Keep it to yourself. It's important as you learn to use your psychic energy that you carefully control it so that you don't become overwhelmed. Using the exercises above carefully can help you build and control your abilities, which can be a very rewarding experience.